This hand-colored map was made by American A.J. Johnson in 1862. 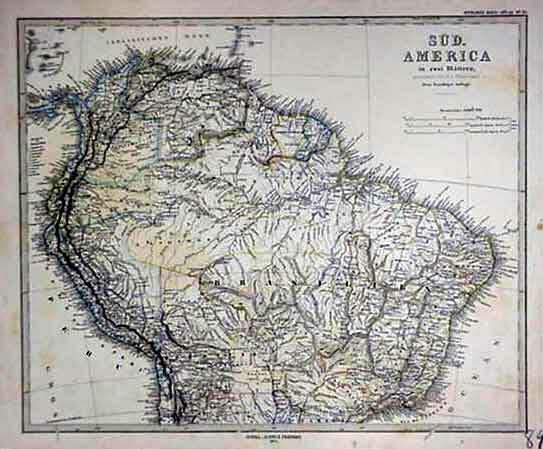 The map shows the countries of Venezuela, Ecuador, Peru and New Grenada (now Colombia) as they existed at the time. Note how Ecuador's eastern border reaches down to the Amazon, which it no longer does.